The Kyra MX 90 women's ski boot is targeted toward advanced female skiers. Its 3-Piece design offers responsive, consistent flex, excellent lateral and rearward control, and a ski/walk feature. Contour 4 Drive & Control Technology provides a close rearfoot fit for performance and control, with a spacious and comfortable 103mm toe box. 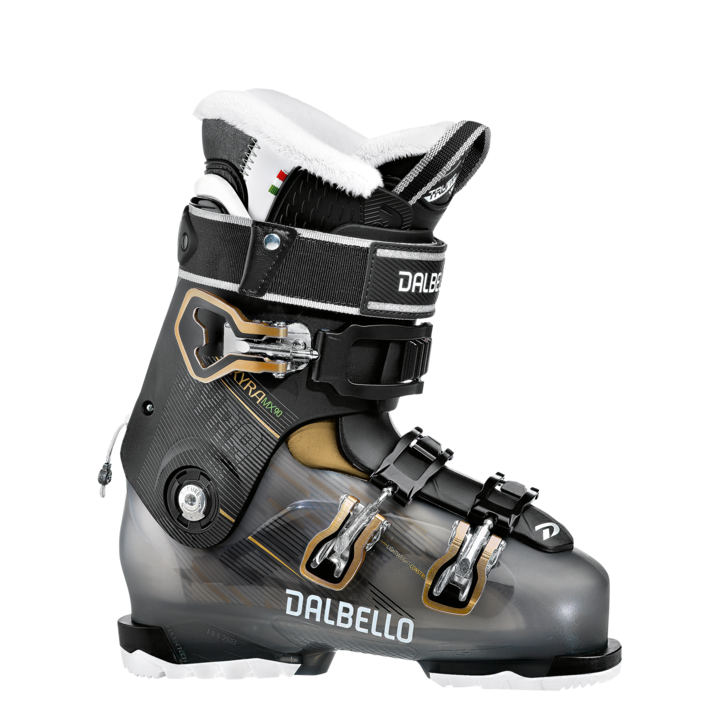 Dalbello's Center Balanced “Rocker” Stance centers the skier over the sweet spot of the ski, for more power and control with less effort. TruFit Performance innerboots offer warmth, cushioning, and comfort. Address: 3602 SW Alaska St.